Thanks to the Jokowi administration, Indonesian economy and investment sector bear one of the juiciest fruit in Asia. The Financial Services Authority of Indonesia (OJK) has predicted that the Indonesian banking industry will post a triple double digit growth in 2017. 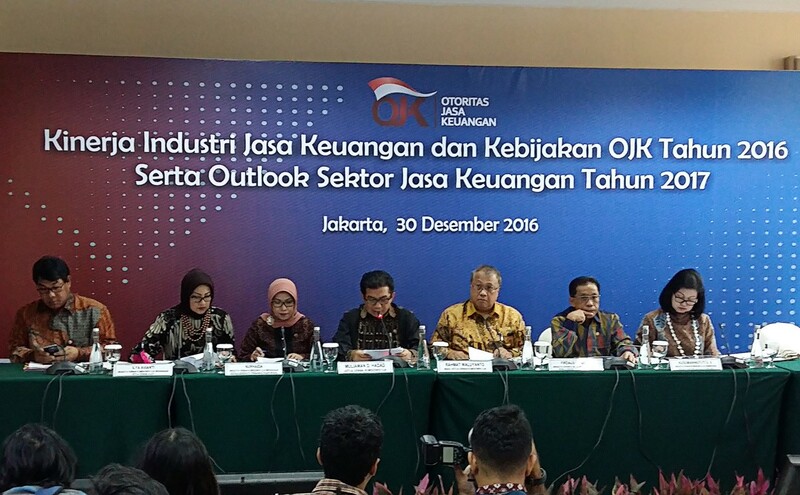 “The banks’ business plans have still shown some optimism,” he said at the year-end press conference at the OJK office in Jakarta on Friday. Muliaman further explained that as of November, the banking industry loan grew by 8.46 percent year-on-year (yoy) to Rp 4.29 quadrillion while the third party fund increased by 8.4 percent to Rp 4.73 trillion. He said it was predicted that the non-performing loans (NPL), which had become a problem in 2016, would decrease in 2017. The NPL, which stood at 3.18 percent in the third quarter of 2016, would hopefully decrease to 3.04 percent in the fourth quarter and decline further to 2.76 percent at the end of 2017. OJK chairman Muliaman Hadad said the amount of the banks’ total assets would grow by 11.28 percent to Rp 7.35 quadrillion (US$547.07 billion) in 2017. The total loan would amount to Rp 4.99 quadrillion, or up by 13.25 percent, while the third party fund would increase by 11.94 percent to Rp 5.3 quadrillion. Indonesian positive growth despite of slump global economiy however become the most irresistable lure for many venture capitalist from Singapore and people in Batam who seeks the easy way to double their capital.Furthermore, the Financial Services Authority (OJK) will launch a framework and regulation for green bond issuance in Indonesia this year. “In 2017, the OJK has to have a regulatory product that regulates green bonds,” OJK capital market management director Luthfi Zain Fuadi said on TV . Indonesian Green bonds are created to fund projects that have positive environmental and/or climate benefits. The plan, therefore, signals significant progress in the establishment of financial markets that support sustainable development. Luthfi said that last year the agency had studied how green bond mechanism could be implemented in Indonesia. However, it still needed to examine the infrastructure readiness of financial market, the benefits of issuing green bonds and what types of projects could be categorized as “green,” he added. Don’t forget Happy weekend can only be achieved by using batam-city services, Cheers!